It DID appear to be a miracle. When the war started, the French had gone all-out in their Plan XVII offen- sives aimed at recapturing Alsace and Lorraine, losing a quarter-of-a-million troops in the process. And nearly losing Paris as well. But the canny Joseph Gallieni, charged with defend- ing Paris had done so by marshaling his forces and looking for the right opportunity to strike back. The Germans gave it to him. 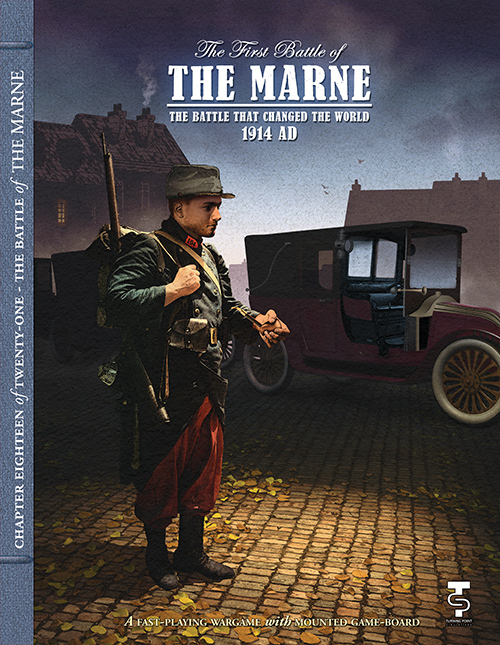 The Marne has many novel wrinkles. It was the first battle in which obser- vation planes are credited with pro- viding critical information - they spotted a gap between German armies and the opportune place for a counterattack. Paris was on the edge of defeat. 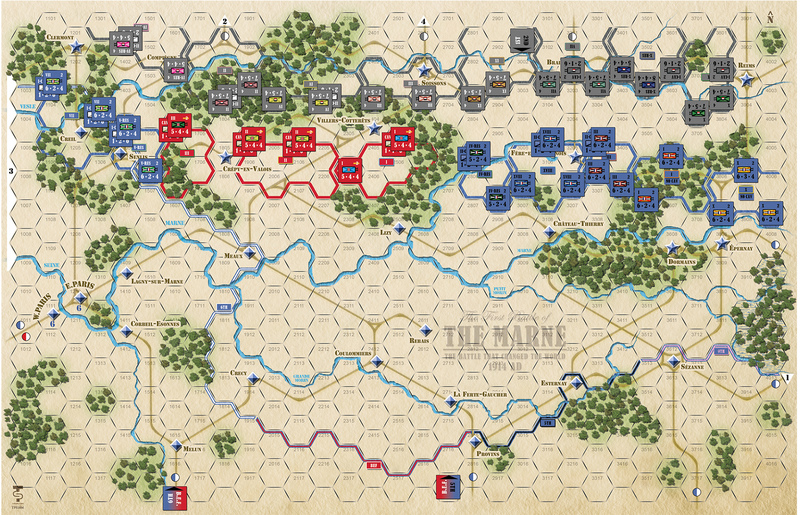 Two German armies were almost surrounded and destroyed. And then, there were the 600 taxicabs, legendary for rushing reserves to a critical area. Gallieni’s quote was, “Well, here at least is something out of the ordinary!" And so much about the battle was exactly that - Out of the ordinary. When it was over, the casualties were staggering. Two million men had participated. Half-a-million were lost. It was the largest “open field” operation of the war, with both sides fighting in desperation and the highest daily combined casualty counts of any battle in the war. 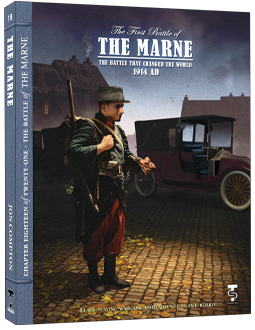 The First Battle of the Marne ended German hopes for a quick finish, and set the stage for all that followed throughout the 20th Century. Up for it? About the Designers: Jon Compton is a political scientist specializing in formal mathematical methods and international relations. He holds a Ph.D. from Claremont Graduate University and has published papers and lectured widely on violent non-state actors, irregular warfare, and deterrence issues. His work, Three Papers on Violent Non-State Actors: Environmental Permissiveness and Motivation in the Transnational Terrorism Typology, the Middle Eastern Region, and the Americas will be published in book form in 2014. He works as a strategic defense analyst in the Washington DC area, and lives in Northern Virginia with his wife and two children. Lembit Tohver is a Canadian wargame enthusiast since 1967, and currently serves as the chief game developer for both Against the Odds Magazine and the L2 firm.